Our protective coating products, sealers and cleaners can be applied to many substrates including concrete, wood, tile, stone, brick, metal, rubber and aged asphalt. At CoverTec we have combined years of experience to produce products that really solve problems! Fast Turnaround – variable speed polyurea and polyurethane products to suit all climates. CoverTec Products, a Florida based company, was founded in 2009 in the midst of the recession in the USA. Construction was down and customers wanted to protect and prolong their existing assets. This was a period of preventative maintenance rather than new construction. 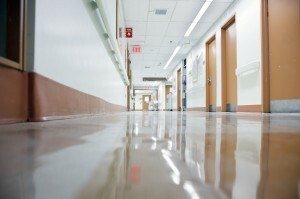 As far as floor coatings was concerned the demand was for high value, tough, durable, protective products. CoverTec was set up to meet this demand. 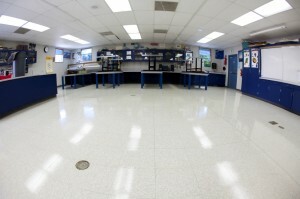 The use of floor coatings and sealers played a key role in the surface protection. As Civil and Chemical Engineers with over 50 years of combined coating experience, we knew how to fix floors. We had firsthand knowledge of the types of products and technology that worked best. We recognized where the gaps were and we set about sourcing and developing products to fill these gaps. Our focus then and now was to lower floor maintenance costs, improve floor safety and to provide oil and chemical resistance solutions. Successful coating projects require the correct surface preparation. So we built up an effective line of floor cleaners, to clean concrete, tile and wood. We specialized in cleaning oil and grease contamination. Today CoverTec offers our customers proven solutions for cleaning, sealing and protecting all types of hard surfaces and resilient floors. 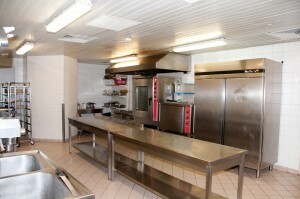 We deal with all types of projects, including facility maintenance, renovation, remodeling and “change of use”. Our products can be used inside or outside the property and for other applications such as roof and walls. Whatever the project CoverTec offers more than just the products. The company prides itself as a “solution center” where customers can source high quality products and seek expert advice on surface preparation and product application. We like the tough projects and challenges. We like solving problems, that’s what motivates us! Give us a call, we would be happy to help. Email us, we would be happy to help.